Remember Janet Jackson’s infamous ‘wardrobe malfunction’ when she performed with Justin Timberlake during the 2005 Super Bowl halftime show? Jacksonville was put on the map when it hosted that year’s Super Bowl. 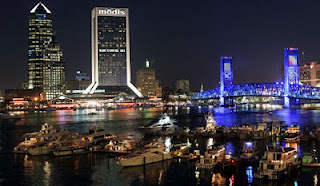 Located on the St. John’s River in northeast Florida, Jacksonville is an interesting city with much to offer. If you are looking for best day trips outside of Jacksonville, here are some destinations, all less than an hour’s drive away. Any history buff will be thrilled to visit St Augustine! A forty-five minutes drive from Jacksonville, St Augustine is the oldest European settlement in America. The preservation of the city’s history is impressive, with restored buildings dating back as far as the early 1600s. You can see this fascinating city on a trolley or horse-drawn carriage, or you can take a walking tour. St George Street, the main thoroughfare, is lined with quaint shops, restaurants, museums and historic buildings. A few blocks away is the Castillo de San Marcos, the star-shaped Spanish fort built in the mid-1600s. The oldest masonry fortification in North America, the Castillo has withstood sieges and hurricanes over the years. Re-enactors in period costumes demonstrate the historic weapons by firing the Spanish cannons during special events and on the weekends throughout the year. Check their website for time and schedule. Other attractions include the Lightner Museum, the Fountain of Youth Archaeological Park, Flagler College (formerly Ponce de Leon Hotel) and the Casa Monica Hotel. Located on beautiful Amelia Island, Fernandina Beach is less than an hour’s drive northeast of Jacksonville. Like St Augustine, Fernandina Beach has its share of history, which dates back 4,000 years, when the ancient Timucuan Indians lived there. Eight flags have been flown in this town (including those of Spain, France, England, various insurgent groups, the United States and the Confederacy), reflecting its colorful past. A 50-block area of the quaint downtown is listed on the National Register of Historic Places. No doubt the white sand beaches are a big draw to this charming town. Another favorite event is the three-day Shrimp Festival, which takes place the first weekend in May. If you like nature, camping and hiking, a visit to the Cumberland Island National Seashore in nearby Georgia is a must. The island is accessible only by boat. You can take the ferry from St Marys, Georgia or Fernandina Beach, Florida. As you explore the island, you will find Dungeness, the ruins of the Carnegie home. You can tour Plum Orchard, the 1898 mansion built by Lucy Carnegie for her son. The mansion was donated to the park service in 1971. A short hike to the seashore will reward you with a magnificent 17-miles of hard-packed sand beaches and dunes. The wildlife you encounter along the way include wild horses, armadillos, turtles and a vast array of birds. For those looking seeking more action, there is always Daytona Beach and Orlando, but you would be looking at more than an hour’s drive away. Copyright © 2012 Yahoo! Inc. All rights reserved. | Yahoo! Travel. Directions from Jacksonville: Take I-95 south towards Daytona Beach; Take the SR-16 exit towards St. Augustine/Green Cove Springs; turn left on SR-16E; Turn right on N Ponce de Leon Blvd. ; Turn left on W King St. Details: San Sebastian Winery was founded in 1996 and is in a part of the state considered to be the birthplace of the American wine industry, dating back to 1562. Family Friendly: Yes, for winery tours. According to historians, St. Augustine is the birthplace of American wine, an industry that dates back to 1562. 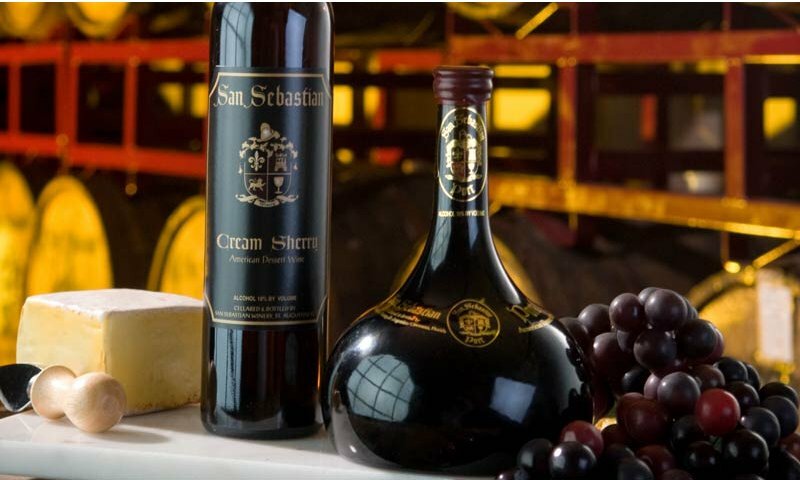 The San Sebastian Winery is keeping that tradition alive. Company officials consider themselves pioneers in the development of table, sparkling and dessert wine. Their facility has over 18,000 square feet of space inside, 40,000 gallons of wine storage capacity and houses an automated bottling line that allows them to bottle 1,250 cases of wine per day. The wine is all made from hybrid and muscadine grapes. In addition to producing wine, the facility offers tours and wine tasting. Don’t want to do the tour? Check out the cellar upstairs for music and drinks on the rooftop deck. The location provides beautiful views of the city with appetizers. And the best thing about the winery is that it’s free. It’s open 7 days a week, followed by a tasting. Visitors who want to avoid driving can catch a trolley that has convenient stops right in front of the winery.